A healthy lifestyle is what we are trying to show our kids. This year I have decided to add as many fun runs as possible so that we can all get all stay healthy together. 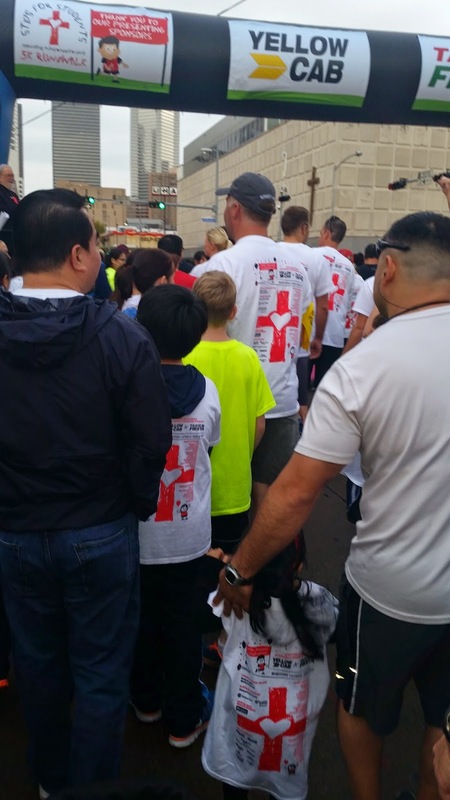 The first fun run of the year is one we have been a part of before. It benefits children and education. Before she decided to jump out of the stroller. She didn't run the entire 5K but it was great that she tried to run some of it. She did ask Daddy to jump out and run again later on in the course. 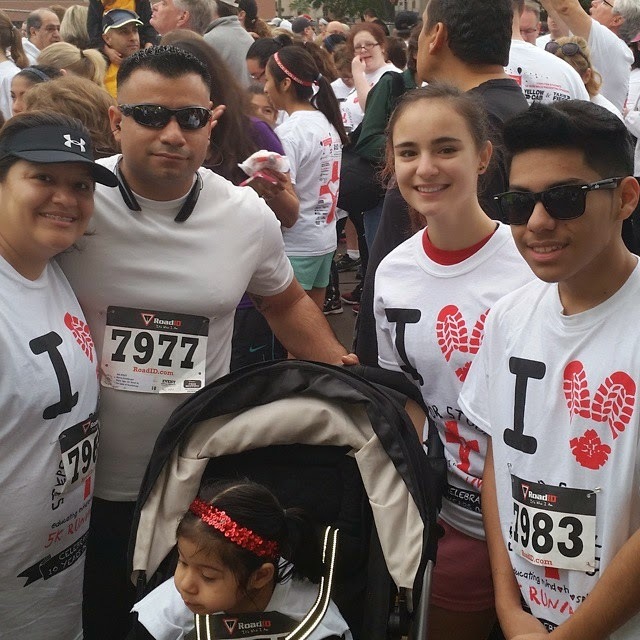 A family the runs together, stays together! ***Disclosure-This is a sponsored post. 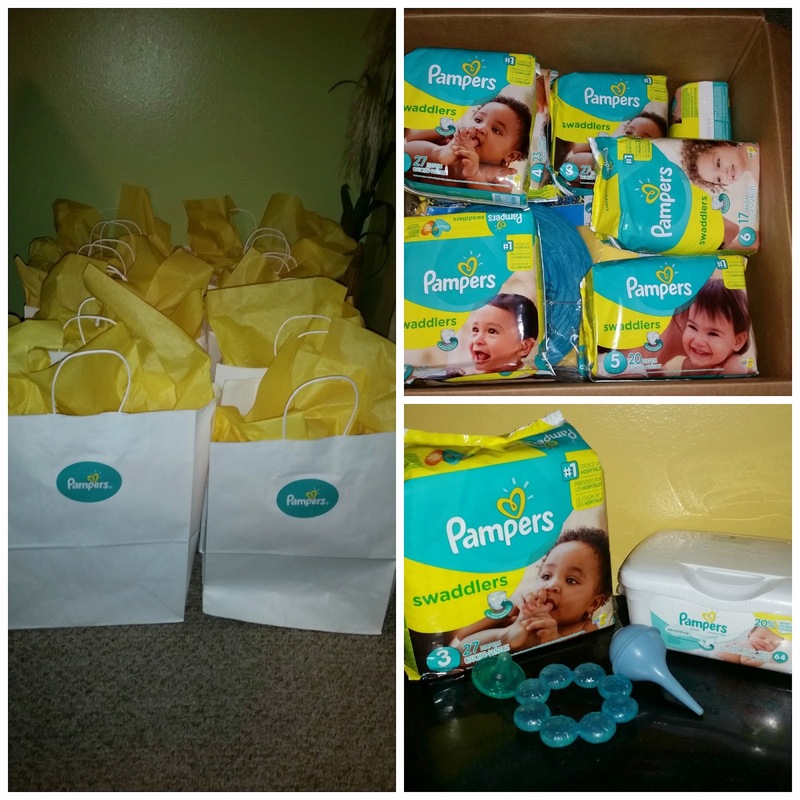 I received a Pampers party kit and compensation. All opinions stated are my own based on my personal experience. I remember the first time I felt my body different. A person inside of me. I remember the first confirmation I received that I was pregnant. My first doctor's appointment, my first ultrasound, and so many other firsts. I remember my first pregnancy. I love all my firsts....they are special to me and I love remembering them. 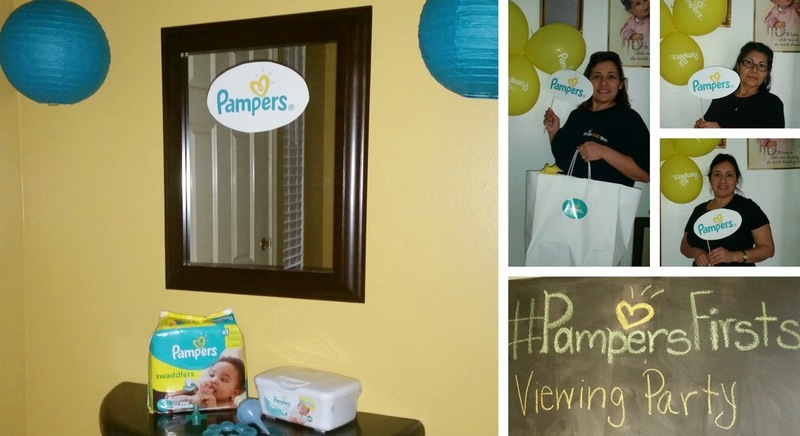 Thanks to Pampers for allowing me to host a #PampersFirsts Viewing party. 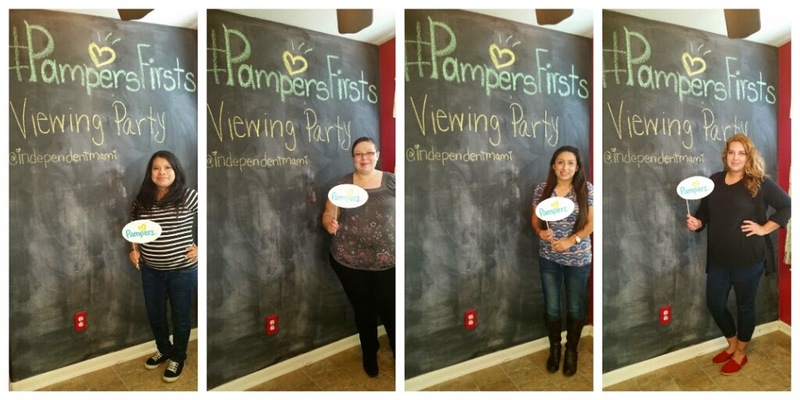 Pampers has been a part of so many of our firsts memories. They understand our joys. Through our journey, they have been there. Pampers has just released a new video called "Firsts". Warning, it is a tear jerker. Thanks to the ladies who joined me for brunch on Sunday. A group of ladies that included mamis-to-be and even a first time mom. We share our stories about pregnancy, labor, and delivery. We watched the video and then discussed our "firsts". Every attendee received a goodie bag which included a pack of Pampers swaddlers and baby wipes. Did you know Pampers® Swaddlers are now available through size 6? -Swaddlers offers up to 12 hours of overnight protection. -My husband was a first time father. He was so scared about everything. Especially changing diapers of a little girl. The color changing wetness indicator was my husband's savior. All he had to do was check to see if the indicator had changed colors and he knew is the baby was wet or not. My guests and I will be filling out a quick review of Pampers Swaddlers diapers at Pampers.com. 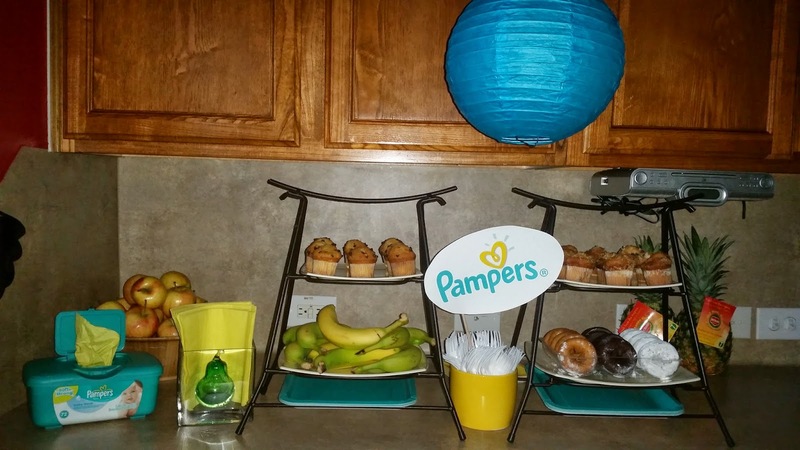 Have you joined Pampers Rewards? Did you know you can get points for watching the above video? Click the “Watch and Earn” link in the video (note: the link is only visible on your desktop or YouTube mobile app), then log in to your Pampers Rewards account and you will be rewarded with 10 points automatically! 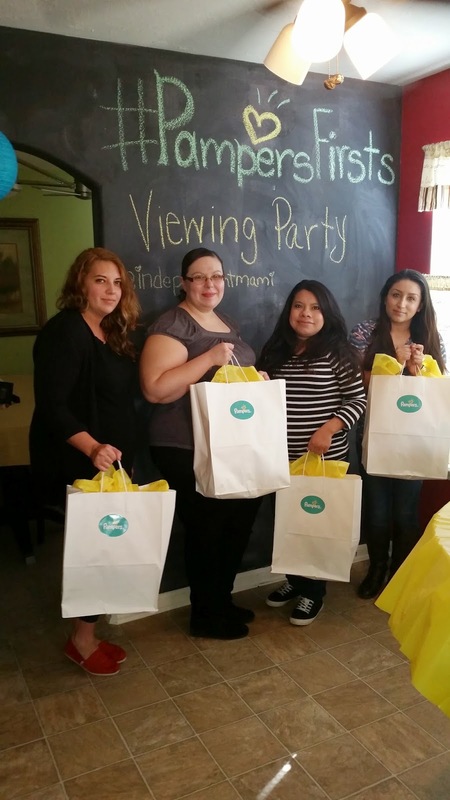 I am glad I was able to introduce the new mami-to-be to Pampers Rewards, answer questions and concerns she had, and mami chat with the other mamis about our experiences as mamis. Beginning February 16th, create and share your own journey of Firsts at pampersfirsts.com. They have developed a micro-site that will allow you to upload images of your baby from your computer or pick from your Facebook gallery and create a :15 second video to share out with friends on Twitter or Facebook. The video will highlight the baby photos and all your first milestone moments. No matter what method of diapering you choose to use on your babies, you always remember you "firsts". Cinderella hits theatres March 13! ***Disclosure-This is a sponsored post. Any opinions expressed are my own based on my personal experience. Breakfast is the most important meal to get your day started. Our kids don't care about that, they just care about the cereal they like. And sometimes all they care about when at the store is picking their cereal and the toy they get to keep from inside the box. I remember collecting my favorites. And now my daughter collects her favorites too. General Mills has Skylanders! 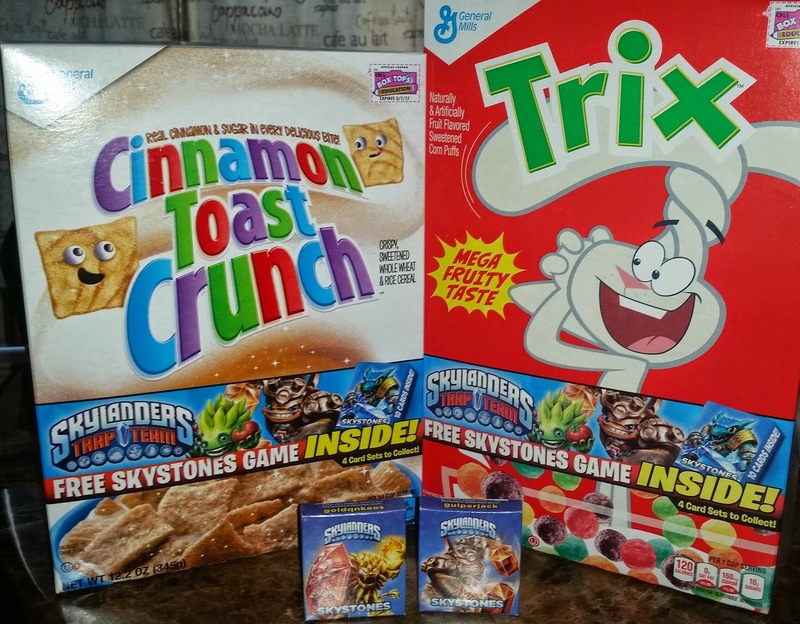 Hidden inside specially marked boxes of Big G cereals are Skylanders Skystones cards playable on the game board printed on the back of the cereal box. Collect all four Skystones game card sets, each with a downloadable code to unlock characters in the popular mobile Skylanders game. The Skystones game is great for family fun and promotes imaginative and cognitive play. The specially marked boxes of Big G cereals are on shelves beginning in March, for a limited time only. Participating Big G brands include Honey Nut Cheerios, Frosted Cheerios, Fruity Cheerios, Reese’s Puffs, Cookie Crisp, Lucky Charms, Trix and Cinnamon Toast Crunch. Must be a blog follower. Giveaway ends 3/10/15 at midnight. 1 winner will be randomly selected. The winner will have 24 hours to claim their prize. US only. ***Disclosure-This is a sponsored post brought to you by Hello Houston Media. Any opinions stated are my own based on my personal experience. I will receive complimentary tickets in exchange for this post. The largest children's festival is coming to Houston! There are 6 Stages, 10 Big Family Adventure Zones and over 300 activities. The festival includes personal appearances by Disney and Nickelodeon celebrities, the Teenage Mutant Ninja Turtles and Ronald McDonald. The festival benefits Child Advocates, Inc, a non-profit organization. Child Advocates, Inc. mobilizes court appointed volunteers to break the vicious cycle of child abuse. They help abused children who are lost in the system and guide them into safe environments where they can thrive. 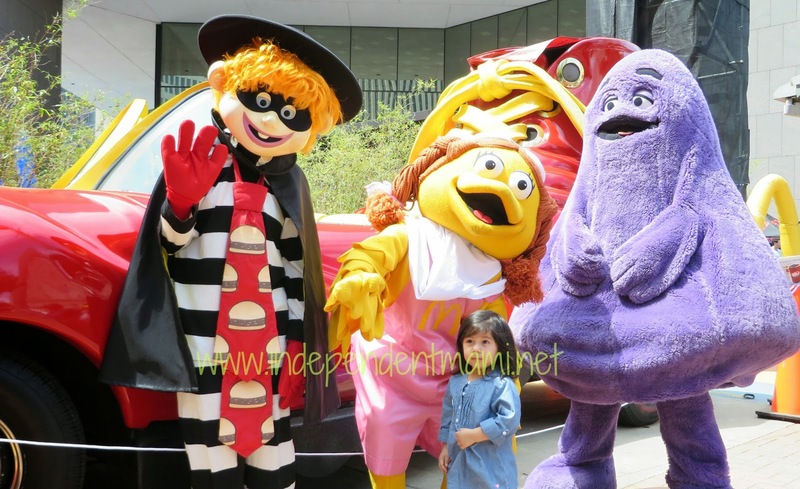 Last year, we had so much fun -2014 McDonald's Children's Festival. My daughter had her face painted, her hair colored, she danced, and even had some meet and greets. The McDonald's Houston Children's Festival is coming on March 28 and March 29. -Tickets are $12.00 per person at the gate. Children 3 years and younger are free. If you bring any 2015 McDonald's receipt to the gate, you can get a $2 discount-PER ADMISSION. -Tickets are $10.00 per person online, plus a small service fee. 3 yrs and younger are free. Disney's "McFarland, USA" comes to theaters February 20, 2015! Inspired by the 1987 true story. My daughter loves the Pound Puppies. This is a cute story line of how the Pound Puppies help puppies everywhere. They are up to their adventures again. Five great episodes to keep your kiddos entertained. ***Disclosure-Sample product was provided for review. All opinions stated are my own based on personal experience. Valentine's Day is just around the corner. Have you gotten your Valentine his or her present? Are you the type that asks for nothing but expects something? Looking for something different? I am the type that wants my hunny to get creative. Think out of the box. I think know a days couples and relationships are losing they boyfriend/girlfriend stage so quickly. I like when husbands and wives date each other, yes, you heard right. Date in a marriage, but date each other. Meaning, don't lose how you fell in love with each other. Courting each other keeps the relationship fun. Valentine's Day does not have to be such a chore. Valentine Day ideas can be simple yet show how much you care. -Breakfast in Bed. This one is an old idea but who actually does this. Have you ever done this for your loved one? After a long week, surprise your loved one with a hearty breakfast. -Surprise your loved one with a picnic lunch. Pack everything for a romantic lunch. Show up at their lunch hour. Pick them up. Drive to a near by park and have a picnic. If you are not much for packing a lunch, you can pick up something that does not need to be kept warmed. Whatever works for you. You can get make an all in one Valentine gift by adding lotions, body creams, and the coupon book. Suggestion for the lotions/body cream can be different but fun like Good Earth Beauty Body Cream Chocolate Dipped Strawberries-It is a whipped body cream that feels light and fluffy. Scent Description: Ripe red strawberry is surrounded by creamy milk chocolate notes to create a decadent treat. Sweet vanilla creme and rich maple combine at the base of this luscious confection. -Off Day. This is great for stay at home moms or dads. You get a day off. Your loved one takes the kids for a full day and you can do whatever you want, even if it is staying in your pjs all day. Even if you work, on your days off you are trying to catch up, keep up with the kids, and etc...wouldn't you like a day just for YOU! I will take this, even a few hours would give me a nice break. Getting a card that has a message reading, have fun. Me and the kids will be gone. Happy Valentine's Day! -Love Letter. Remember back in school when we use to get the love letters and how it use to make us feel. Nobody writes letters anymore. I am not saying send an email or a text. No take out some real paper, and a pen. Write from the heart. Valentine's Day is one day of the year. Express your love and remember you can write letters to your loved ones all year long not just one day. Whatever you do, do it from the heart. You know your partner. I won't remind you the clock is ticking and it stops on Saturday. Have a Happy Valentine's Day! ***Disclosure-Samples were received for review. All opinions stated are my own based on my personal experience. Growing up I did not drink water. I hated the way it tasted, yes water does not have a taste. Exactly, nothing. No flavor. But I'm suppose to drink it. The only way my mom could get us to drink water was to flavor it with drink mix, you know kool-aid. But we have evolved. Instead of our kids grabbing sodas, we can give them water that pack a small punch. Sodas are sugary drinks. 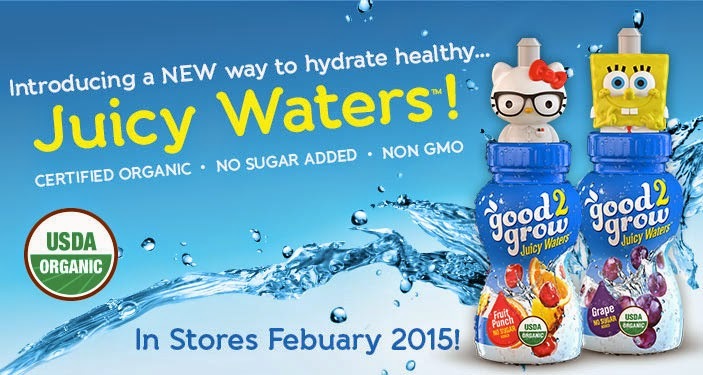 New good2grow Juicy Waters are coming in grape and fruit punch. They are all natural, no sugar added, non-gmo waters. Your kids can top them with favorite. My daughter already likes good2grow products. The apple juice is her favorite. She collects the toppers. And now she is a fan of the juicy water too. ***Disclosure-I was invited to Snap Kitchen for a tour. I was given menu items to taste and review. All opinions stated are my own. A healthy lifestyle involves being and making great choices everyday of your life and your family's life. Sometimes we need help to get us started or going in the right place. As for me, I am always looking for easy. I think a lot of us are. That is why fast food is so easy for people to pick up and eat. But what if we had a healthy fast food, that we could easily pick up? 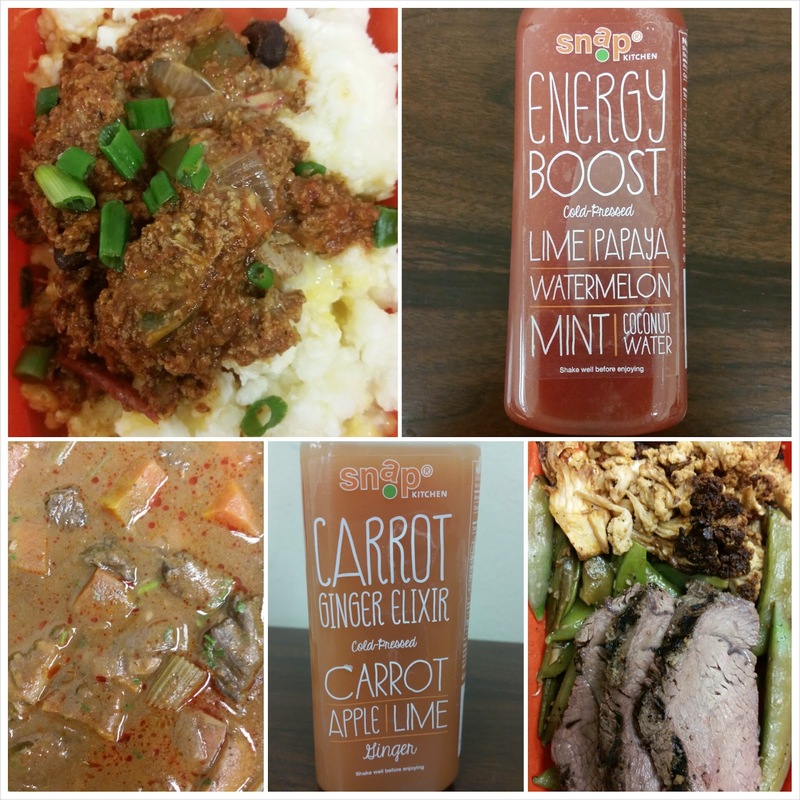 Have you heard of Snap Kitchen? Snap Kitchen has a menu that changes seasonally. They do not use butter, instead use coconut, grape seed, or olive oil. They use local ingredients. 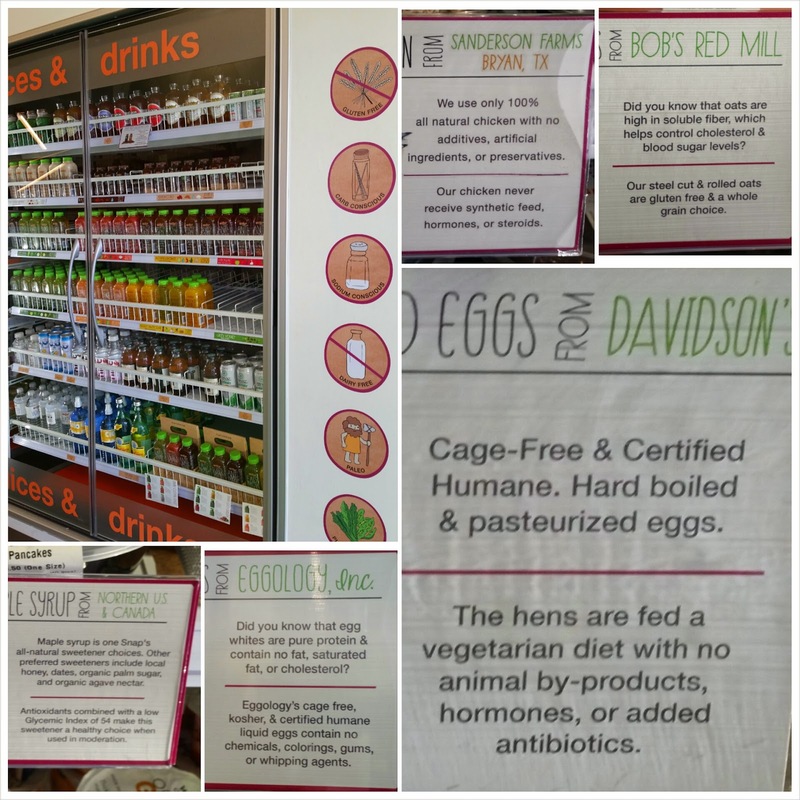 The ready-to-eat meals are chef prepared and dietitian approved. They are kept in refrigerated display coolers. Breakfast, lunch, dinner, snacks, shakes, and even juices. Gluten-Free, Paleo, Dairy-Free, Nut-Free, just ask for their Allergen Guide. Do you juice? Snap Kitchen has cold press juices. Cold-pressed juices are pressed, strained, and kept super cold throughout the process. They include 1 to 3 pounds of fruits and vegetables. I juice at home. Getting veggies and fruits, then juicing them can be a lot of work and can also be very messy. This is a great option for those looking for an easy way to start juicing. I liked the variety that Snap Kitchen offers. Their seasonal menu is a great option for you not to get bored of the food you are eating. Healthy eating can sometimes be very hard when you are cooking food yourself. I like that they have several locations available around town. In a hurry, they have curb side pick up available. The food is properly labeled and so easy to read. It tasted good. My entire office was wondering what gourmet meals I was eating. I had all of them wanting some of my food. The food was very fulfilling. Remember eating healthy does not have to be boring or bland. Find an option that works for you. Snap Kitchen makes it easy to start, and maintain your healthy eating habits. Remember, the 80/20 rule. 80% percent is your diet, and 20% is exercise. As parents, we are always looking for products to use on our babies that are safe for them. Little twig products are a safe and natural bath time alternative. They utilize the most effective organic and botanical ingredients in their simple recipe for pure and gentle personal care. Lavender has aromatherapy properties that are calming and relaxing. It can be used for adults and kids. Little Twig Calming Lavender Baby Wash (www.littletwig.com) - This all-natural blend of soothing lavender, restorative chamomile and gentle bubbles turns your tub into a sanctuary of tranquil bath time bliss. Provides aromatherapy benefits that are calming and relaxing, encouraging a better night’s sleep for baby. It is safe to use with the little ones. I like that this product is paraben free and that it does not have any synthetic fragrances. 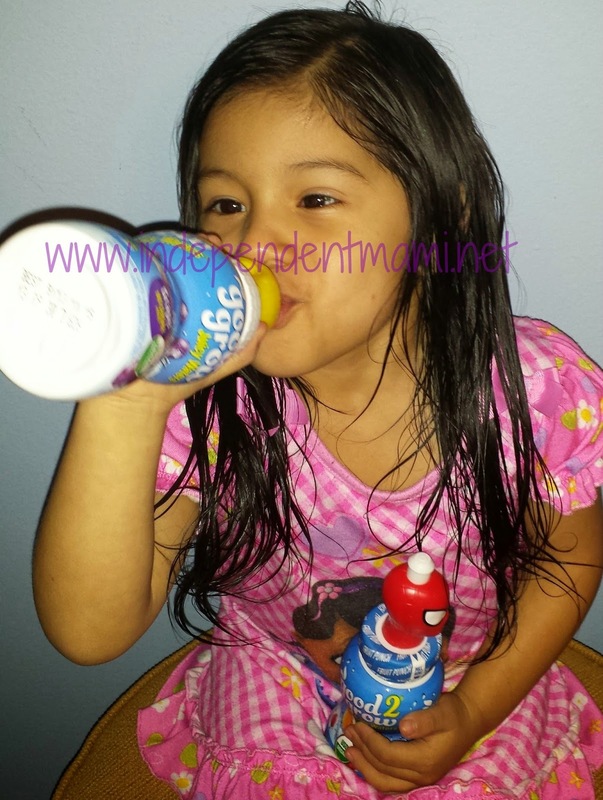 This product is ideal for sensitive skin like my daughter. There was no residue left on her skin and it did not dry her out. ***Disclosure-Sample products were received for review purposes. All opinions stated are my own based on my personal opinion. When I was pregnant I was introduced to the Belli brand. Belli products have been tested and approved for anyone who is pregnant or breastfeeding. But it not only is good for you then, it is even afterwards. It is free of harmful chemicals. Belli has a full line of products that we can use. Belli Eye Brightening Cream Formulated with vitamins K and B to reduce the appearance of these telltale signs of fatigue and dehydration, this luxurious cream is the perfect anti-dote to late nights and interrupted sleep. Brighten your day and your look with this soothing and restorative refreshment for the eyes. Belli Pure & Pampered Body Wash This is a specially formulated body wash created for daily use. It gently cleans without stripping the skin of its natural oils. It contains cucumber and green tea extracts that are rich in antioxidants as well as lavender and chamomile that provide a relaxing aromatherapy experience. Belli All Day Moisture Lotion A luxuriously emollient cream that deeply moisturizes and comforts dry skin. It contains antioxidant vitamin E, chamomile to soothe and refresh skin and lemon oil to provide an uplifting scent. Belli Healthy Glow Facial Hydrator The hydrator is a light daily moisturizer that is rich in botanical humectants that refine and soften skin texture. It provides the antioxidant boost of vitamin C and grapeseed oil for radiant, healthy looking skin. The formula is rich with soothing chamomile which helps neutralize skin irritants. Additionally, it’s light, refreshing citrus scent makes it a favorite of women everywhere! Products that are safe to use when you are pregnant are obviously great to use when you are not. Helping you have a daily glow, like when you were pregnant. There are no paraben preservatives. There are no artificial dyes and fragrances. The products are also allergy tested. My skin feels refreshed.